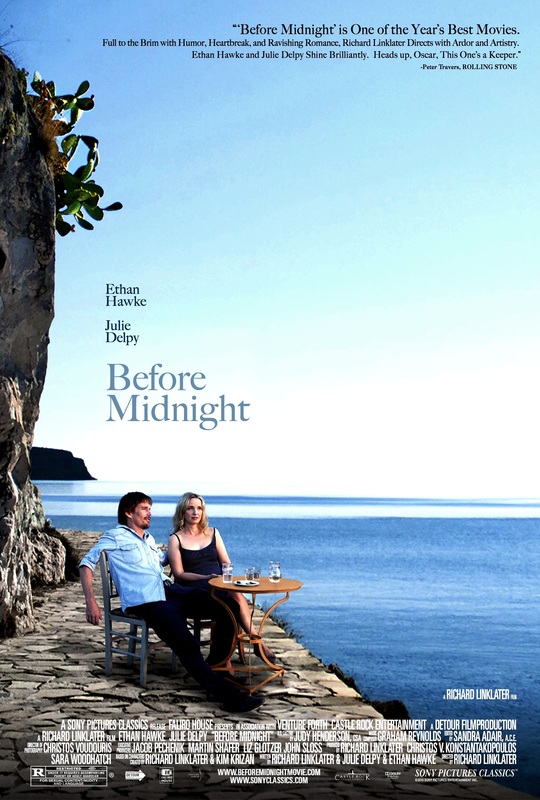 It should have stopped at “Sunset.” Before Midnight updates us with the love affair between two sublime characters, Jesse (Ethan Hawke) and Celine (Julie Delpy), that were introduced to us in the wonderful “Before Sunrise” and “Before Sunset.” Sublime they are not, no more. 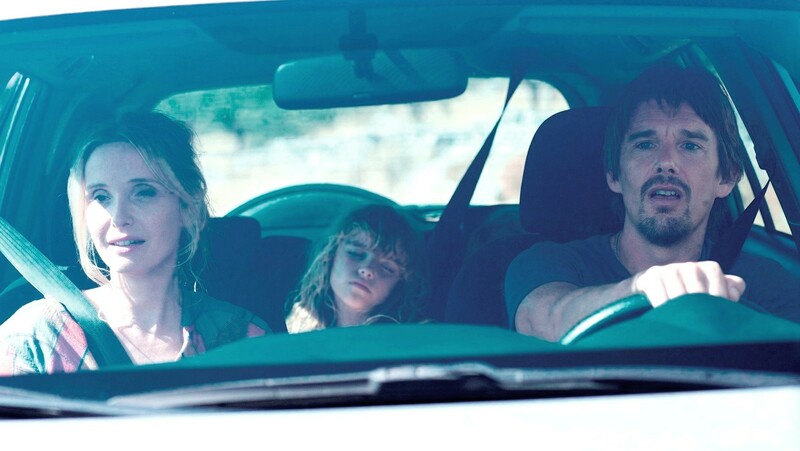 Richard Linklater, the genius-philosophical writer and director, is working again with long takes and long scenes. He almost never goes wrong, but I knew by the second scene of “Midnight,” the mojo was off. Now married, Jesse and Celine are on summer vacation in Messinia, Greece. Two of their own brood are asleep in the background, and Jesse has had his oldest child sent away for the summer to be with his first wife. The camera is planted on the car hood for a self-conscious 10-plus minute scene. The dialogue is intermittently witty, but mostly scattershot – and excuse me – a whiff discursive. I was begging for this car scene to end, just so we could get to why we were getting another sequel. After awhile, it becomes interesting in a documentary way just to witness Ethan and Julie memorize their lines. But all I felt was, “Gee, this is how you make a film on a budget!” The problem is that it stopped being about the characters I knew by heart. Continuing on: A grocery mart stop, a casual soccer game, a discussion about Jesse’s latest book, another wine-serving group dinner with discussions on random topics (I smiled during an inquiry about Skype-sexting and smiled again during Celine’s dumb blonde shtick). This first half is rambling, rudderless, and nearly tension-free. The second half finally has drawing power. Jesse and Celine have been treated to an upscale hotel room paid on behalf of their friends. They get undressed to make love, but they are skirted away by an unexpected phone call. Then indefinitely, they trade wounding put-downs of each other. The quarrel is about continuing to live in France or to relocate to Chicago, but like all fights they unveil deeper issues. The movies have rarely given us such a realistic couple’s fight. “Revolutionary Road” (2008) with Leo and Kate was similar, and preferable. Maybe it is because for all the power of this extended sequence has, it is not what I wanted to see of Jesse and Celine after all these years. If this fight were part of a different movie without these characters, then… maybe I would be curiously engaged instead of off-put. I’m letdown, although there is no denial of the consensus of rave reviews coming from other critics. For me, there was no mistaking Linklater’s talent or his camaraderie with his actors. I’d like to see a new project from them without it being a continuation of this series. “Before Midnight” is not a satisfying follow-up after the beauty of “Sunrise” and “Sunset” despite its many impressive moments. Film Cousins: “La Notte” (1962, Italy); “Before Sunrise” (1995); “Before Sunset” (2004); “Revolutionary Road” (2008).